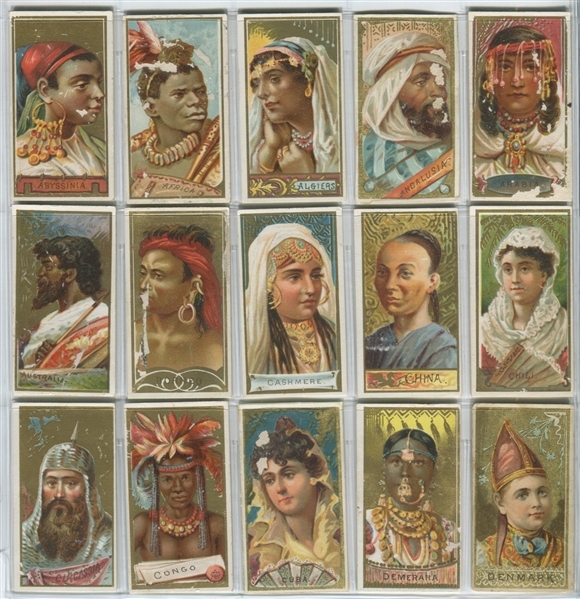 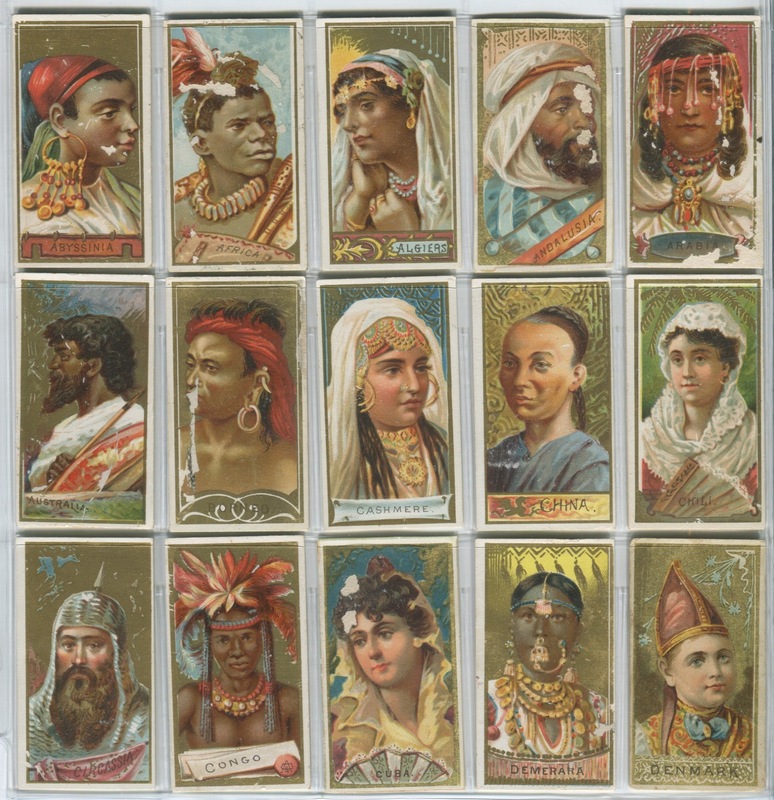 The N24 Allen & Ginter Types of Nations set is a 50 card set depicting native people in their countries most common dress. 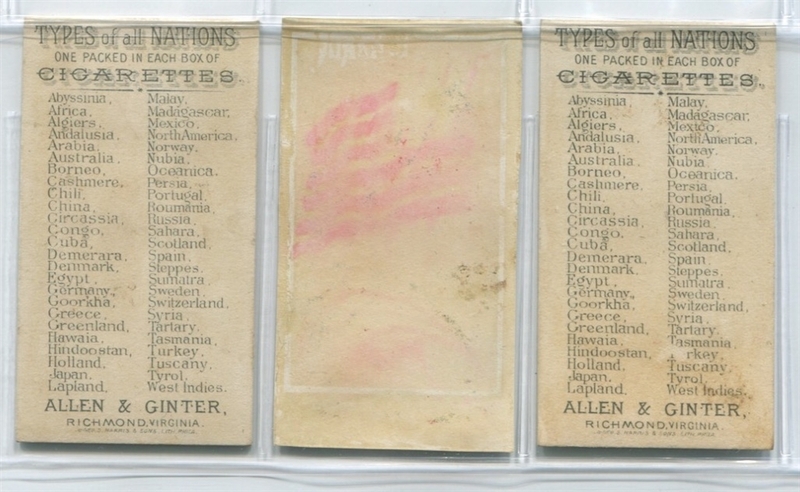 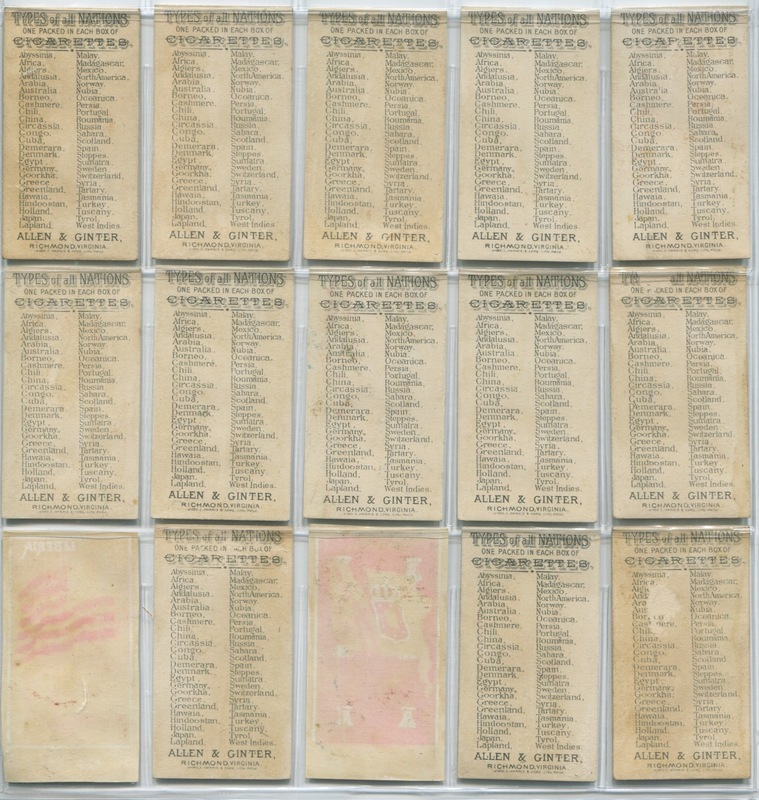 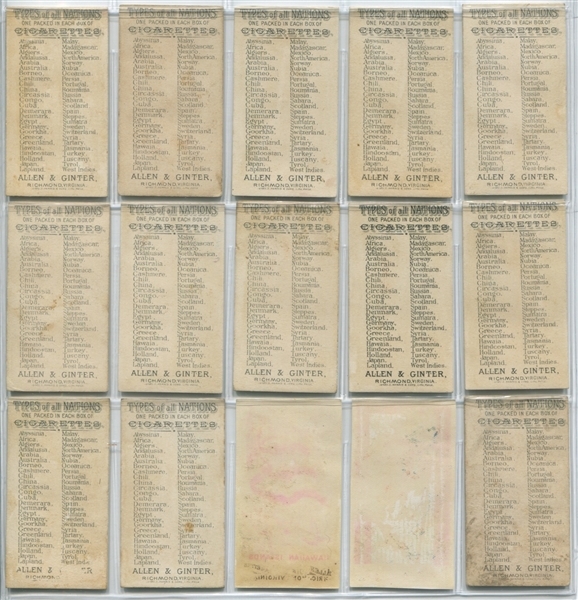 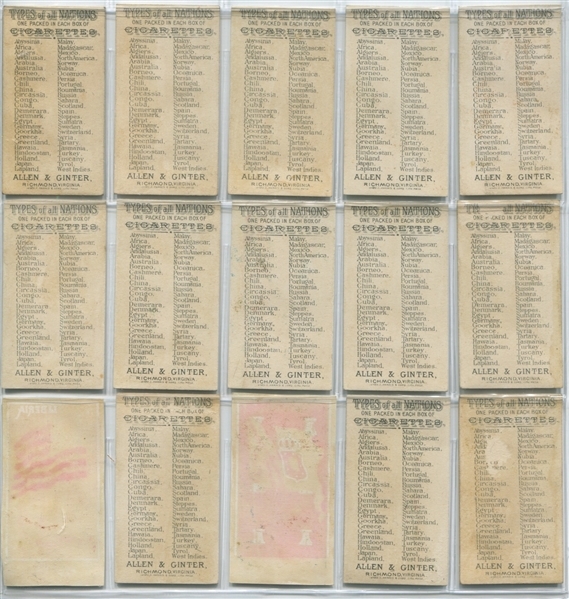 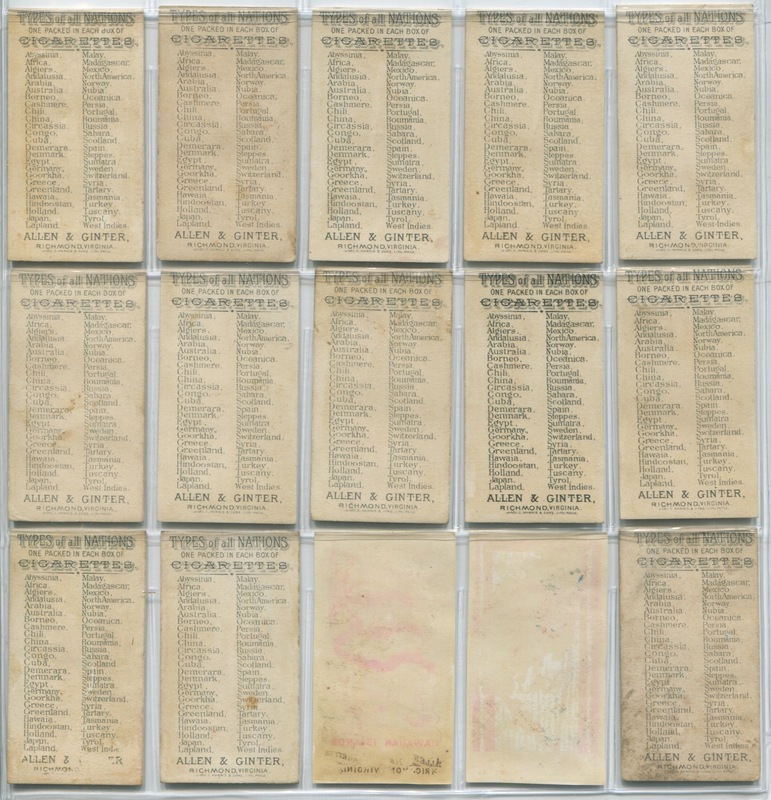 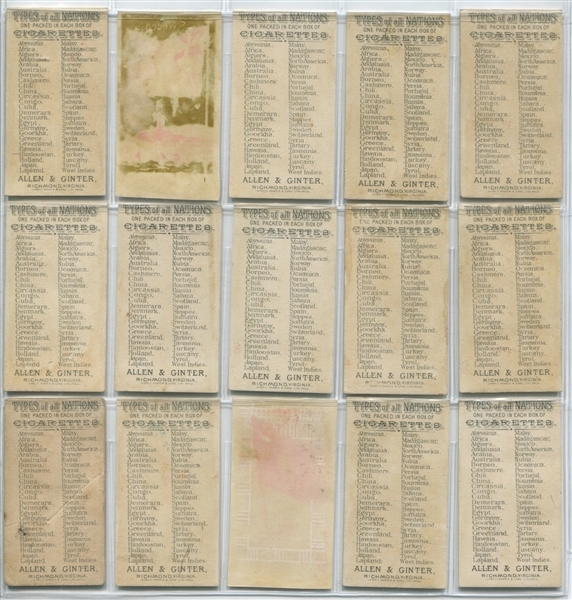 The artwork is shoulder length type portraits and the country or area is identified at the bottom of the card. The backs of the cards checklist the subjects in the set. 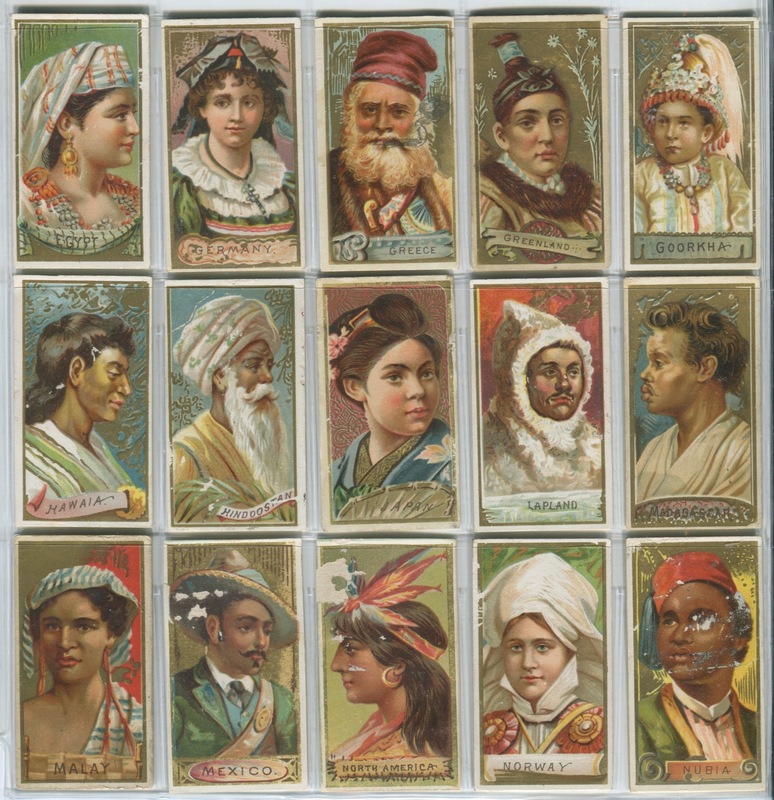 The cards, like many of Allen & Ginter's offerings have phenomenal artwork and the lithography some of the best in the small Allen & Ginter sets. 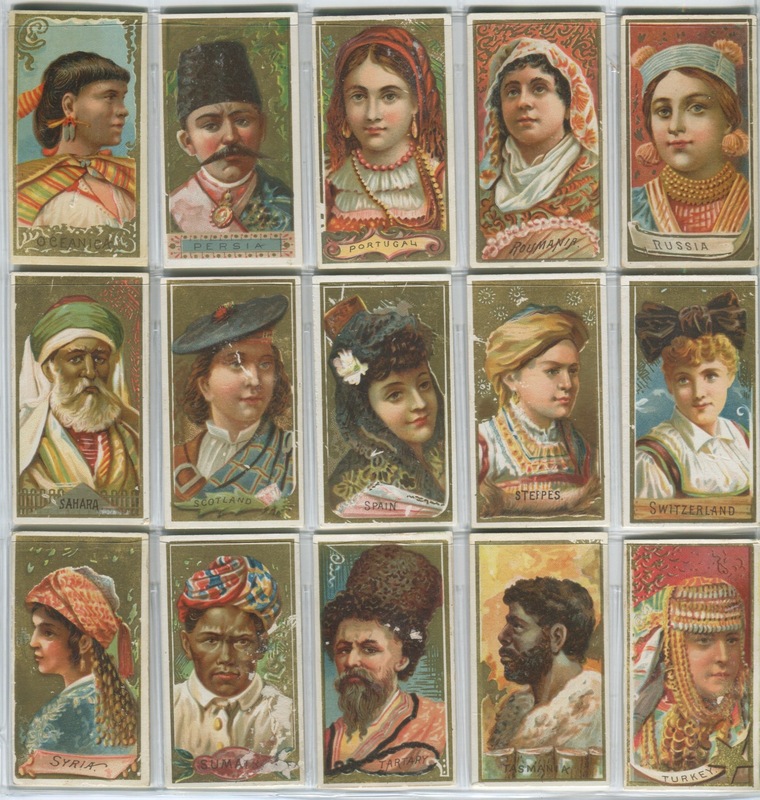 There is no large format counterpart to this set. 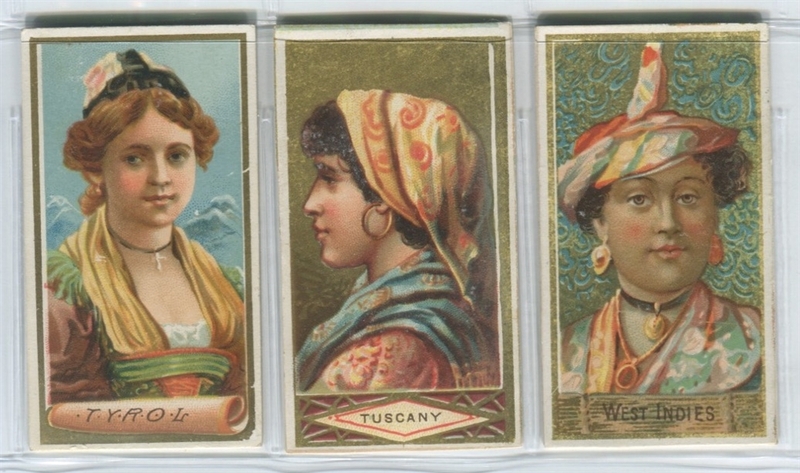 Like a few of the other A&G sets, this set seems to suffer from some surface flaking. 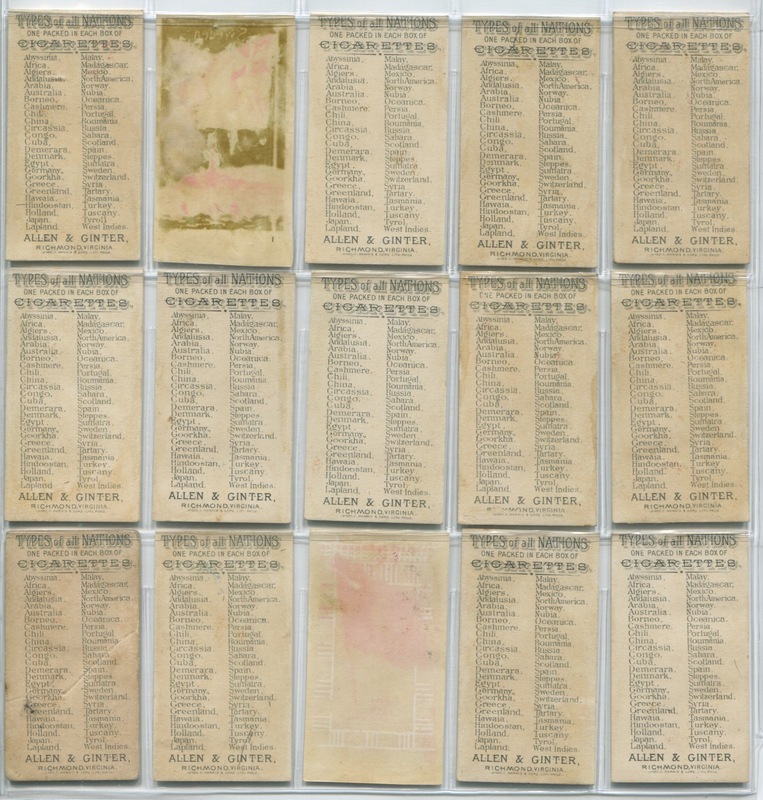 The condition breakdown on this near (48/50) set is as follows: VG to VG+ (31 cards), G to GVG (12 cards) and (7) cards in Poor condition that are either skinned or are poster cut outs.